Here is a tough logic math question which will challenge your brain. This math logic puzzle question will make you think outside the box. In this brain challenging logic math puzzle question, you are given some logical number equations. 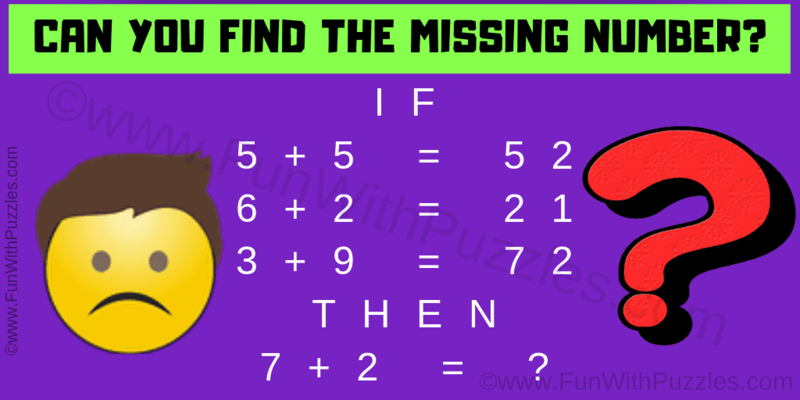 Decipher the logical reasoning used in these equations and find the value of the missing number which replaces question mark!